A group of geneticists and historians at Oxford University have created a series of data visualizations that illustrate the impact of European ethnic groups on the genetic makeup of the UK. 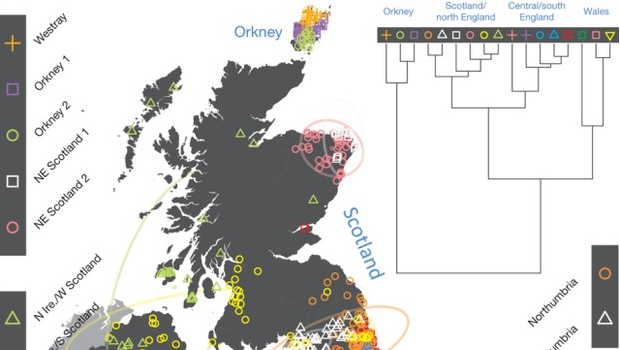 The researchers compared the genomes of UK residents with long-standing historical ties to the country to the genomes of thousands of people from 10 different European nations to identify similar genetic groups. Researchers were able to trace the genetic roots of UK residents back to various regions of Europe, reflecting major historical events such as the establishment of Scandinavian Viking settlements approximately 1,000 years ago.